Henna extracts are widely used in cosmetic, nutritional and medical products. The ultrasonic extraction method increases the yield of the active compounds such as antioxidants, phenolics, and colorants. Ultrasonic processing is a mild non-thermal technique to intensify the Henna extract production. Henna leaves (Lawsonia inermis L.) are rich in antioxidants, phenolics and coloring agents which are used as valued ingredients in the food, pharma and cosmetic production. In order to produce high-quality Henna extracts, a mild and precisely controlled extraction technique is required. Ultrasonic extraction is well known and widely used to extract bioactive ingredients from plant materials. The ultrasonic extraction process intensifies the isolation of the targeted bioactive molecules and results in higher yields and faster extraction rates. Sonication can be easily combined with other extraction techniques such as hydrodistillation, Soxhlet (using polar and non-polar solvents), or Clevenger extraction. Retro-fitting of existing extraction systems can be accomplished without problems since Hielscher‘s ultrasonicators are compact and can be flexibly integrated in the process setup. Regarding an ultrasonically assisted henna production, the producer can choose from various solvents such as water, vegetable oils, glycerine, methanol, ethanol, hexane, acetone, chloroform, propylene glycol etc. Accordingly to its final use, the Henna leaf extract can be isolated as water-based, solvent-based, alcoholic, or oily henna extract (e.g. henna extract for its anti-bacterial properties is most effectively as alcoholic extract, whilst cosmetic henna extract is best as oily extract). Henna’s active compounds and colorants are entrapped in the plant leaves. The henna plant leaf contains a red-orange color component, lawsone (2-hydroxy-1,4-napthoquinone), which is also known as hennotannic acid. Henna does not stain skin or other material until the lawsone molecules are released from the cells of the henna leaf. Power ultrasound is a very effective technique to break cells and to disintegrate/release entrapped compounds. When the henna paste with the released lawsone molecules is applied to skin, leather or cloth, coloring agents pentrate the material (skin, hair, leather, fabrics) and bind to the proteins. Antioxidants and phenolic compounds are precious additives for medical and nutritional products. Henna contains manifold active agents which are valued for their anti-inflammatory, analgesic, hypotensive, antibacterial, antifungal, astringent, and antiviral effects. 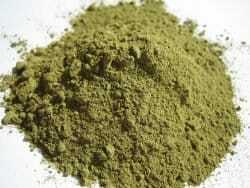 Besides of 2-hydroxynapthoquinone (lawsone), mannite, tannic acid, mucilage and gallic acid are known as other core chemical components of the henna plant. Quantitavely, 2-hydroxynapthoquinone is found as main bioactive substance. To make use of hennas active substances, the extract can be utilized in form of dyes, tinctures, or ointments. Ultrasonic extraction improves the phenolic yield and antioxidant activity of the Henna extract. The precisely controllable process parameters enable to release the active compounds without damaging them. Hielscher’s powerful ultrasonic processors allow the full control over all important process parameters such as amplitude, pressure, temperature and intensity. This ensures that the active compounds of the herbs (e.g. Henna, saffron, olive, avocado etc.) are not destroyed due to harsh processing conditions. 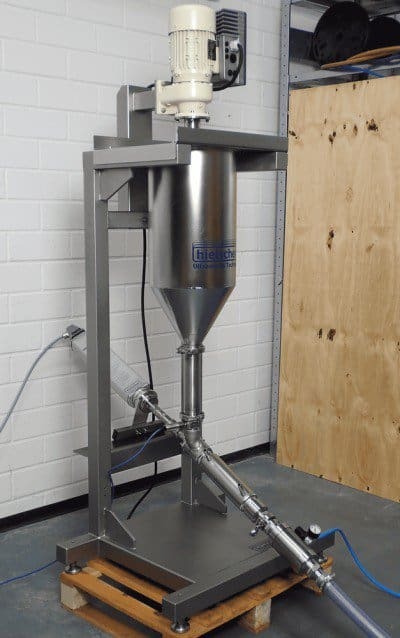 The precise tuning of the process parameters make it possible to intensify your extraction process in order to achieve superior quality and highest output. Hielscher Ultrasonics supplies the full range of high-power ultrasonicators – from the compact lab cell disruptor up to industrial ultrasonic systems. 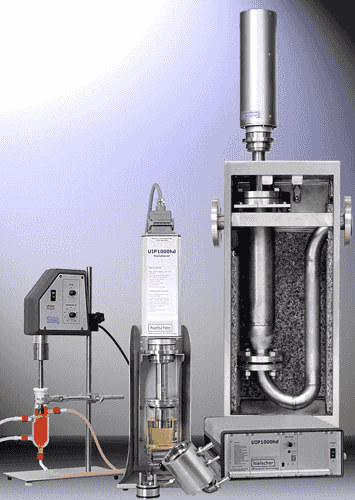 Our ultrasonic disruptors can be used for batch and continuous flow-through extraction. Contact us today with your extraction requirements! We will be glad to recommend you the most suitable ultrasonic processor for your needs. Henna (Lawsonia inermis Linn) is an evergreen, flowering plant also known as hina, Mehndi, henna tree, mignonette tree, or Egyptian privet. The compounds of the Henna are used as medicinal herb and as natural dye. Lawsone is a natural pigment found in henna leaves. Lawsone (2-hydroxy-1,4-naphthoquinone), also known as hennotannic acid, is used as a red-orange dye to color skin, hair and textiles. When Henna is used for cosmetic and body art, it is applied as henna paste onto the skin. Its coloring agent lawsone must have been released from plant cells, e.g. by ultrasonic extraction. When the henna paste is applied, the colorant migrates into the outermost layer of the skin and gives the typical red-brown stain. Henna leaves, seeds and bark are the most common forms to prepare extracts which are used for medicinal purpose. The high concentration of chemical and nutritional active compounds in the Henna plant are used for its anti-inflammatory, analgesic, hypotensive, antibacterial, antifungal, astringent, and antiviral effects. Due to these medical and health-related properties, henna-derived compounds such as antioxidants and phenolics are used in the preparation of food and pharma products (e.g. traditional medicines, Ayurvedic practice). Furthermore, natural antioxidants are known as effective additive retarding the oxidative degradation of food such as oils and food with high lipid content. Henna is known as dye and cosmetic compound which is widely used as natural colorant for hair, skin, nails as well as textiles.